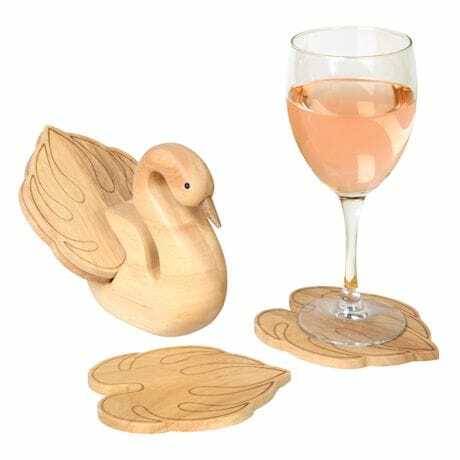 A beautifully crafted example of woodworking-with cleverly concealed coasters integrated into the design. 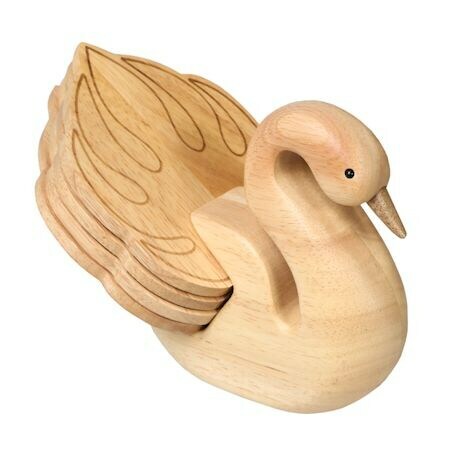 The tail plumage of a swan creates a perfectly sized and shaped coaster to protect your tabletops, neatly tucking back into the bird for storage. Embossed rubberwood. Holder with four coasters inside is 6½"x 5"x 4".